“It’s a one-in-a-million chance when you can predict an explosion. It’s never been done before.” Molnar said. Astronomy has shown us tremendous wonders of nature and latest prediction of scientists suggest that it is ready to show us the first of its kind. A binary star system was under observation for years and researchers claim that it will explode. The team conducting this study believes that two stars will merge and explode in 2022. Stellar explosions are extremely rare happenings. Such events occur only once every 10,000 years in our galaxy. Prior to all this advancement in technology, viewing such incidents was not possible. The latest instruments allow humans to experience this amazing artistry of nature. That’s the reason that humanity will see this event for the first time ever. The task of predicting such stellar catastrophes is not an easy job by any stretch of the imagination. The chances that you are right about it are one-in-a-million but scientists have documented the movement trends of these stars that indicate that they will come head to head in the next few years. The distance between these stars is so small that they share the same environment. If the calculations done by the team of researchers from the Calvin College in Michigan are accurate, a new star will illuminate in our night sky in 2022. Right now, both of these stars are not very bright but their combined brightness will increase 10,000 times after the anticipated merger. This will make it one of the brightest stars in the sky. 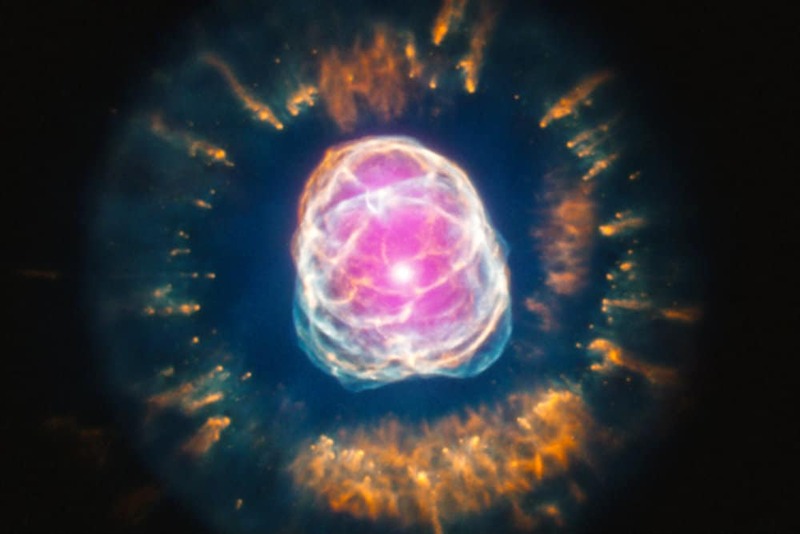 Astronomers involved with this research claim that the explosion would be so massive that humans will be able to see that with their naked eyes. This pair of stars is astronomically known as KIC 9832227. Their study started in 2013 at a time when scientists were not sure whether it was a pulsating star or a binary star system. They observed that the speed was increasing all the time and both the stars are approaching each other at a rapid pace. This behavior was pretty much similar to another binary system known as V1309 Scorpii. It led to a supernova in 2008. This collision was not expected but later observations clarified how those stars merged. KIC 9832227 was studied for 2 years and all possibilities were considered but the final conclusion of the researching team was that a collision is the most likely explanation of this scenario. A representative of the research team has announced that the stars will begin to merge shortly. The resulting state has been named as the ‘Boom Star’. Their individual lives will come to an end following the explosion but this will give birth to a star which will be much brighter than them. All such findings were presented at the 229th Meeting of the American Astronomical Society (AAS) by Professor Lawrence Molnar and his team. The team includes students from Apache Point Observatory and the University of Wyoming. Molnar mentioned that he is studying this star system since 2013. He got intrigued by it after hearing from Karen Kinemuchi, an astronomer at the Apache Point Observatory, during a conference. She presented her study of the brightness variations of the star. The information provided by her led to a confusion whether it was one star that is flashing or pulsing, or two different stars are orbiting each other. The research assistant, Daniel Van Noord, of Molnar was also attending that conference. He wanted to answer this question with scientific proof. For this sake, he made some observations of the star. Molnar explained his findings in the following words. The researchers will continue to monitor this binary star to confirm their prediction and learn more about the red nova that is generated in case of such death spirals. Molnar asked the world to take their predictions seriously as he said.